When: Wednesday, June 13, 2018, rain or shine! 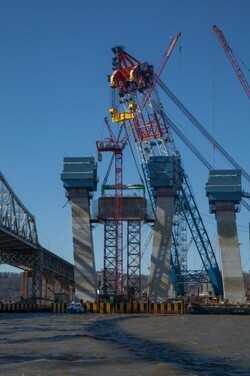 The Tappan Zee Bridge is the largest infrastructure project under way in the United States. The HSRC is pleased to offer an exclusive opportunity to observe this important undertaking from a unique vantage point. Join us on the River Rose, a Mississippi-style paddle wheeler, as we cruise along the Rockland shore of the Hudson River to the Tappan Zee Bridge.